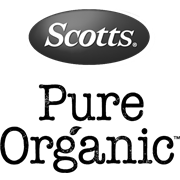 Scotts© Pure Organic™ Premium Potting and Planting Mix 25L has been formulated with a blend of natural and organic ingredients. 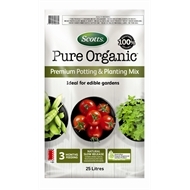 It’s ideal for the gardener who wants a high performance organic growing mix that delivers outstanding results whilst taking care of the environment. 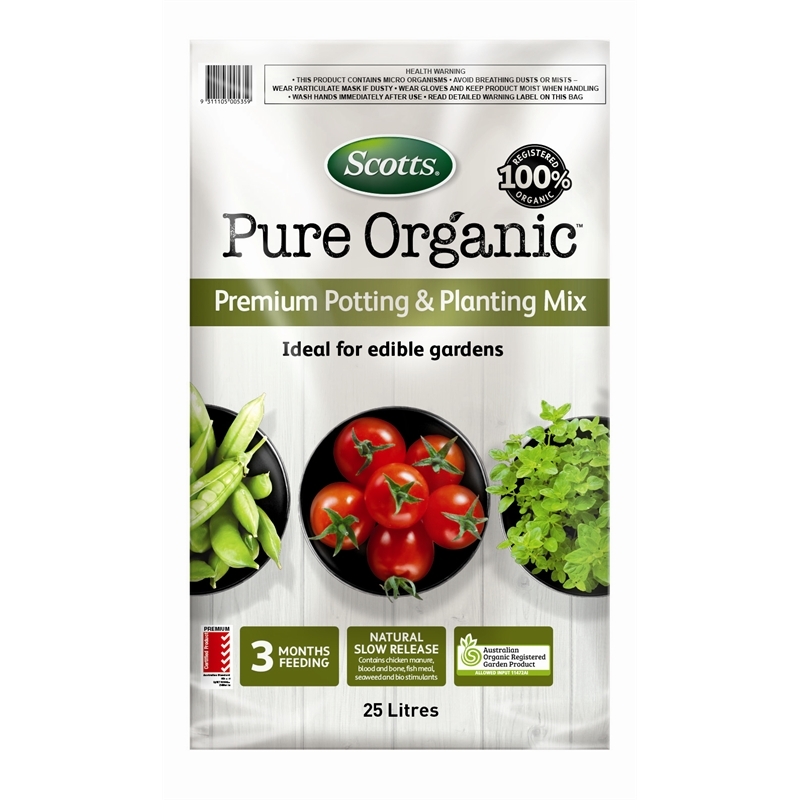 Pure Organic Potting and Planting Mix contains natural slow release fertilisers that feed your plants for up to 3 months and is perfect for edibles.